It has become fashionable in both the scholarly and corporate worlds to lay claim to being the first to have predicted the global financial crisis (GFC) of 2008. As the cliché goes, hindsight is a wonderful thing, and given this analysis it would seem axiomatic that commentators would identify the poor governance of international and domestic financial institutions as a leverage point for reform. And indeed they did - in 1999. In commenting on the lessons to be learned from the Asian financial crisis Jeffrey Garten, Dean of the Yale School of Management at the time, delineated a scenario virtually identical to the GFC, in which lenders and investors in an inherently unstable and overstretched financial system failed to read the signs, deluded themselves about the nature of the markets they were involved in, and fled at the first indication that the good times were over (Garten 1999). This led him to conclude that better governance of financial institutions and corporations was a solution that would help mitigate the next crisis. Yet 10 years later, analysts are still calling for global governance reform, and have extended their criticisms to include intergovernmental processes, which they consider to have lost their legitimacy (Bradford and Linn 2009). Baker, Mallen. 2007. Corporate social Responsibility - companies in the news: Enron. Mallenbaker website. http://www.mallenbaker.net/csr/CSRfiles/enron.html. Accessed 23 January 2010. Bradford, Colin and Linn, Johannes. 2008. The G-20 Summit: could the financial crisis push global governance reform? Borokings Institute website. http://www.brookings.edu/opinions/2008/1024_g20_summit_linn.aspx. Accessed 21 September 2009. Global Corporate Governance Forum. 2010. Global corporate governance forum: Better companies, better societies. Global Corporate Governance Forum website. http://www.gcgf.org/. Accessed 23/10/2010. Global Compact and UNEP FI. 2009a. The principles for responsible investment. UNPRI website. http://www.unpri.org/primciples/. Accessed 23 February 2009. Global Compact and UNEP FI. 2009b. 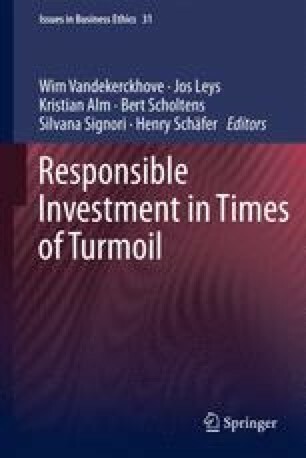 Signatories to the principles for responsible investment. UNPRI website. http://www.unpri.org/signatories/. Accessed 23 February 2009. Royal Bank of Scotland. 2008. Sustainability Report 2008. Royal Bank of Scotland website. http://www.rbos.net/microsites/sustainability-report-2008/default.htm. Accessed 2 January 2010. UNEP FI. 2009a. Regional activities. UNEP FI website. http://www.unepfi.org/regional_activities/index.html. Accessed 23 February 2009. UNEP FI. 2009b. About UNEP FI. UNEP FI website. http://www.unepfi.org/about/structure/index.html. Accessed 23 February 2009. UNEP FI. 2009c. What we do. UNEP FI website. http://www.unepfi.org/index.html. Accessed 23 February 2009. UNEP FI. 2009d. Our signatories. UNEP FI website. http://www.unepfi.org/signatories/statements/index.html. Accessed 23 February 2009. UNEP FI. 2009e. Sustainability reporting. UNEP FI website. http://www.unepfi.org/work_streams/reporting/index.html. Accessed 23 February 2009. UNEP FI. 2009 f. UNEP FI/GRI working groups. UNEP FI website. http://www.unepfi.org/work_streams/gri_working_groups/index.html. Accessed 5 March 2009. UNEP FI. 2009 g. Publications - sustainability reporting. UNEP FI website. http://www.unepfi.org/publications/reporting/index.html. Accessed 5 March 2009.